Last night two wonderful friends of mine hosted an evening of Chanel, showing the wonderful movie Coco avant Chanel. They requested I give a little introdcution before the movie and I decided to share it today with all of you. 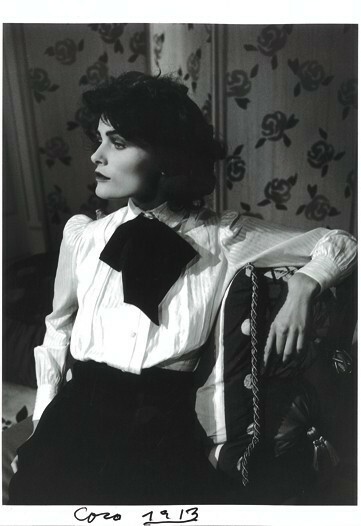 In 1910 Gabrielle Chanel opened her first shop on the Rue Cambon in Paris, which today still represents the symbol of elegance and fashion. Throughout her professional life she was known for her innate sense of style and has remained, through many generations an icon of all things chic. Her legacy runs deep into our lives. Open your closet and you shall find some trail of Chanel; whether it is the little black dress, the a-line skirt, a chic jacket or that perfect cashmere cardigan; it came from Chanel. We do not only acknowledge Chanel as the fashion icon, we are here to celebrate the achievement of a women, who in a gone-by era did the impressive; she created an empire in a male dominated world in the early nineteen-hundreds. Born into an impoverished family and left abandoned at an orphanage, she worked her way to the top and stood headstrong against the world and in 1919 she was rich enough to pay back both her investors, all the while buying her first mansion. Chanel said fashion fades, only style remains. And style is elegance. And elegance is refusal. When she spoke of elegance, she spoke of luxury. Chanel insisted that luxury should remain invisible, it must be felt she said. Luxury is not the opposite of poverty, it is the opposite of vulgarity. Luxury is the opposite of status. It is the ability to live by being yourself. It is the freedom to refuse to live by habit. Luxury is liberty. Luxury is elegance. Though I am completely fascinated with the life, the legacy and the style of Coco Chanel, the only Chanel item I own is the #5 Perfume. However, it seems I am not alone as only 200 women in the world maintain a Chanel haute couture wardrobe. So whether is a classic Chanel of a Lagerfeld-Chanel you have in your closet, know that you carry around a historic sense of style. (and yes…the perfume counts as well). As her life is presented before you this evening, remember that it is not the fashion that fascinates us, it is the style and style comes from within, it is an attitude. Appreciate what you have, how you look and be proud of the person that lies within. Exuberate style, be elegant. Tonight we shall meet the Gabrielle before the fame, before the exuberance of luxury, before the success, we shall see the Coco before she became the Chanel. Have wonderful evening, enjoy the movie and appreciate the life of an extraordinary woman.